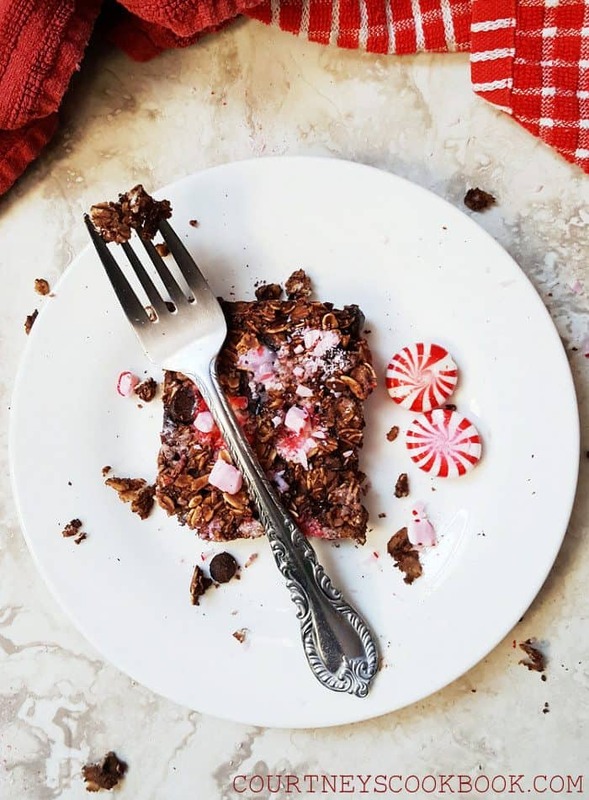 Get in the holiday spirit with this chocolate peppermint baked oatmeal! Quick and easy to make, it’s a simple way to add a festive touch to your mornings! Hello, Melrose Family readers! This is Courtney from CourtneysCookbook.com, and I am so happy to be back and sharing this recipe with all of you today! With Thanksgiving over, I know that my tastebuds will switch from pumpkin to peppermint! 🙂 The holiday season comes with many fun foods and flavors to experience, but it’s also a very busy time of year. 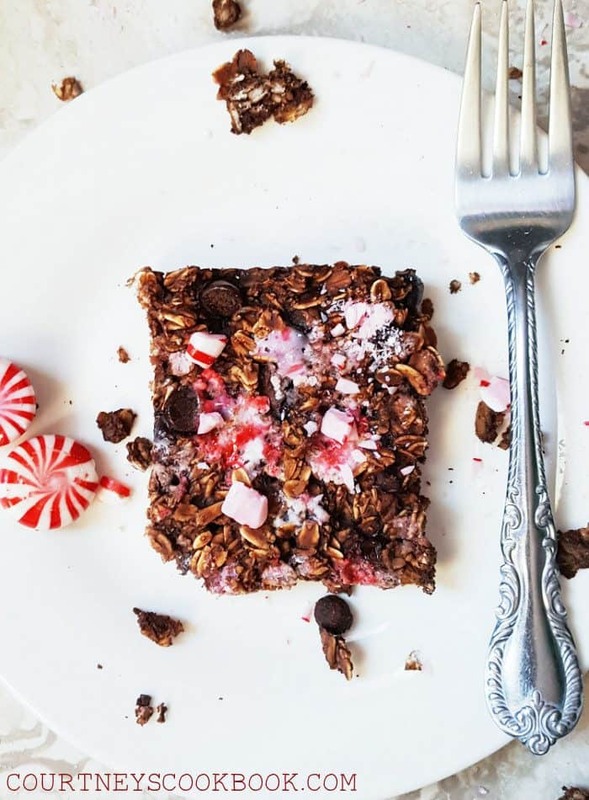 That’s why I love this breakfast– it’s festive and delicious, but it doesn’t take much time or effort to make. It’s the best of both worlds! 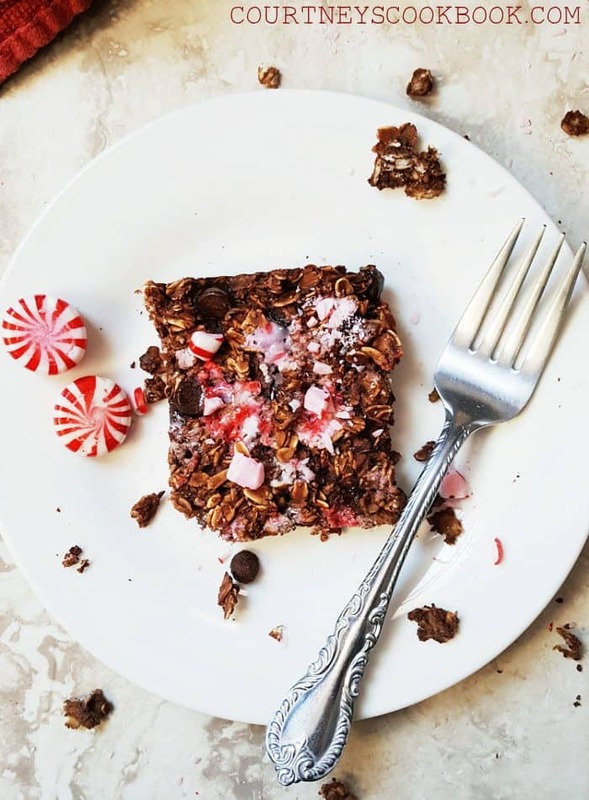 Many of us indulge a little more than usual over the holidays, and at first glance, this does have a little bit of that candy-for-breakfast feel. But you can have a little bit of sweetness in the morning and still feel good about it, because this breakfast is full of good things, too! 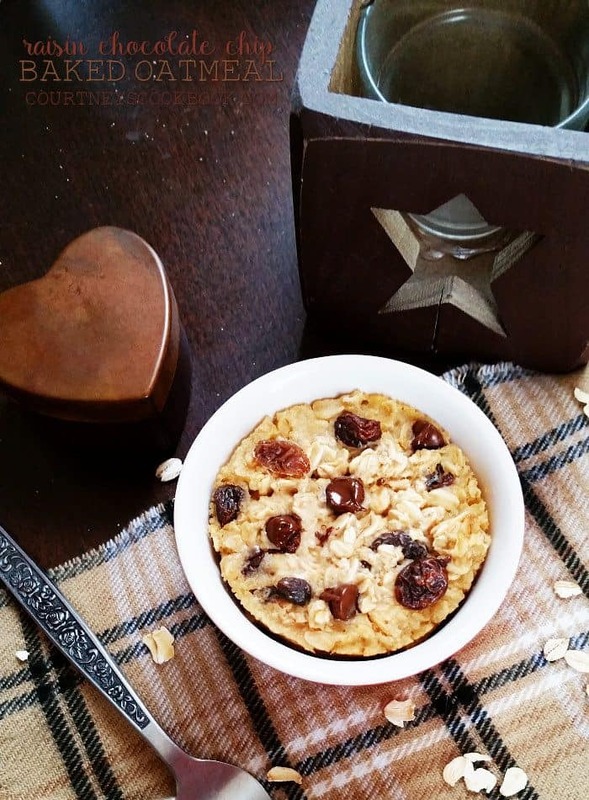 Oats are always a hearty and healthy breakfast choice, and there’s something about baking them that makes them feel even more filling to me. 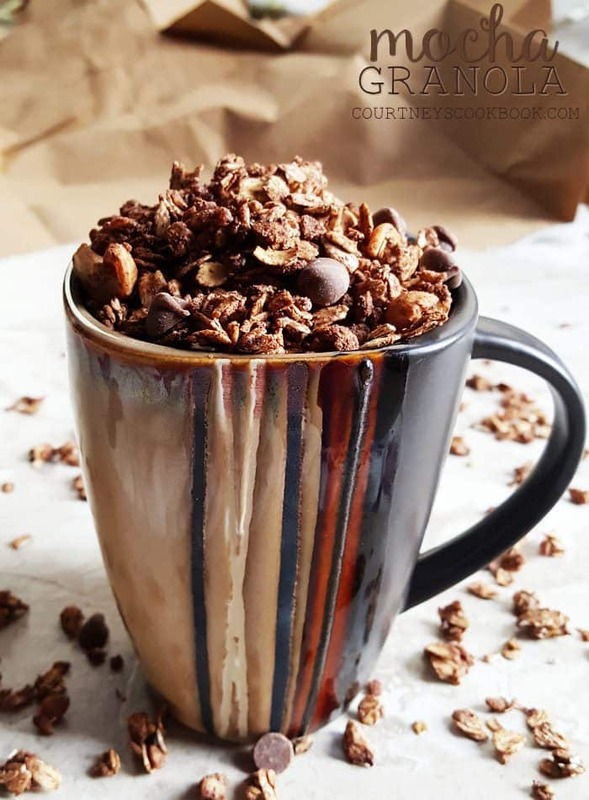 Cocoa powder has good antioxidants, almond milk is a great source of vitamin A, vitamin D, and calcium, and pure maple syrup adds sweetness without refined sugar. With only a handful of simple and wholesome ingredients, this oatmeal is ready to bake in no time, and it’s cozy and comforting straight from the oven. 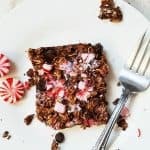 It’s a good multi-purpose dish, too– slice them up and eat them cold as sweet and pepperminty snack bars! 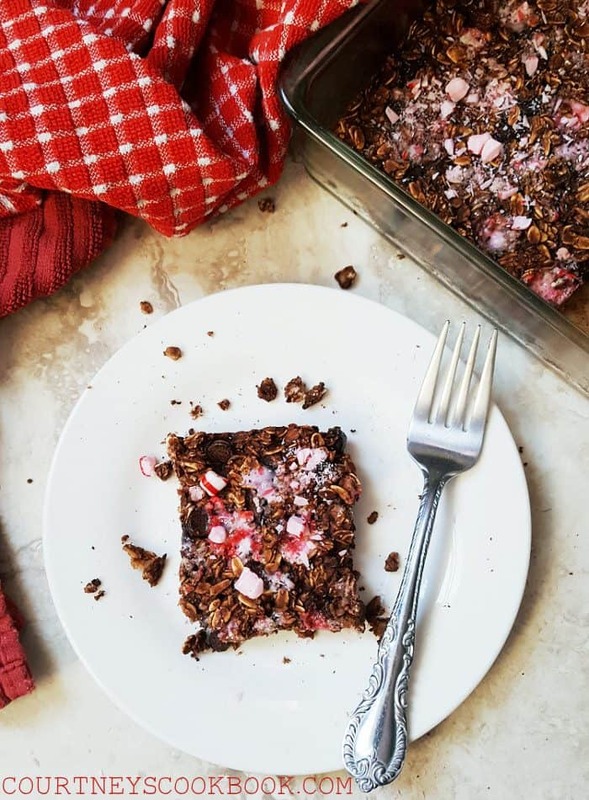 Get in the holiday spirit with this chocolate peppermint baked oatmeal! Quick and easy to make, it's a simple way to add a festive touch to your mornings! Preheat your oven to 350 degrees and grease an 8x8 pan with cooking spray. In a mixing bowl, combine the oats, cocoa, baking powder, salt, and sweetener. Add the milk, egg, and peppermint extract and stir until coated. 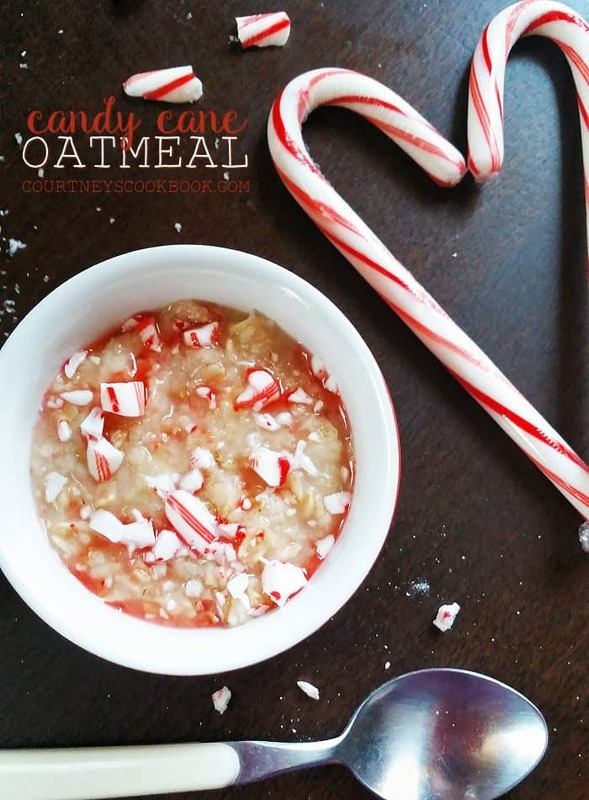 Pour the oatmeal into the prepared pan and top with crushed candy canes or peppermints as desired. Looking for more breakfast options? Thank you again to Jenny for allowing me to share with you today! Have a wonderful holiday season! Ah! This looks so festive + tasty! I hope I still have some candy canes/peppermint candies lying around somewhere! 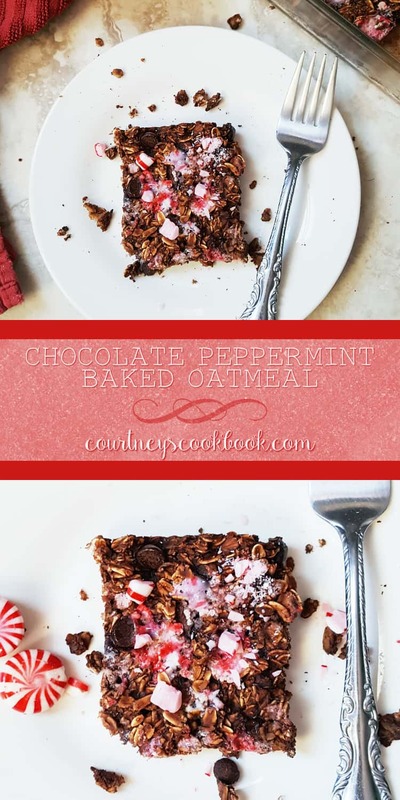 I had baked peppermint oatmeal at the Williamburg Lodge and have been looking for a recipe. This one looks great. I have a question. The instructions talk about adding an egg but the ingredients don’t list any eggs. Does it need eggs, and if so how many?